Watch a game with us! Stoney’s is your home away from home for watching any sporting event. It is also a place to make friends, be treated like family to relax and mostly to have FUN. 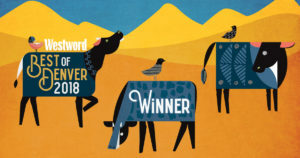 Westword's Best of Denver 2018!